Just in time for summer break, Disney’s “A Wrinkle in Time,” from acclaimed director Ava DuVernay, comes home on June 5 on Blu-ray™, 4K Ultra HD™, DVD and On-Demand. The stunning story of an ordinary girl’s extraordinary adventure through time and space offers exhilarating entertainment and positive messages for the whole family—encouraging self-confidence, inclusion and pushing imagination to the next level. I have a soon to be teen daughter and so many of aspects of this movie hit home. Meg was bullied in the movie by a girl name Veronica. My daughter went thru some middle school bullying this year, and we were able to relate to this movie. Meg wants to fit in, but really wants to be herself. Veronica is the source of Meg's doubts and insecurities. As Meg takes on this journey, she realizes that she doesn't have to conform and change herself just to fit in. Being yourself is enough! There are so many teachable moments from this movie, it is truly an amazing movie and great for all Disney fans and fans of the trilogy! 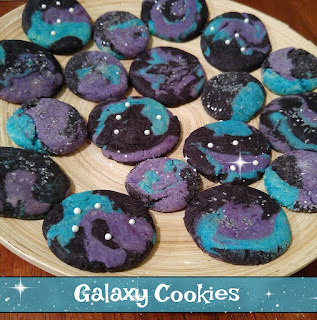 Check out these fun Galaxy inspired cookies perfect for a Wrinkle In Time movie night! 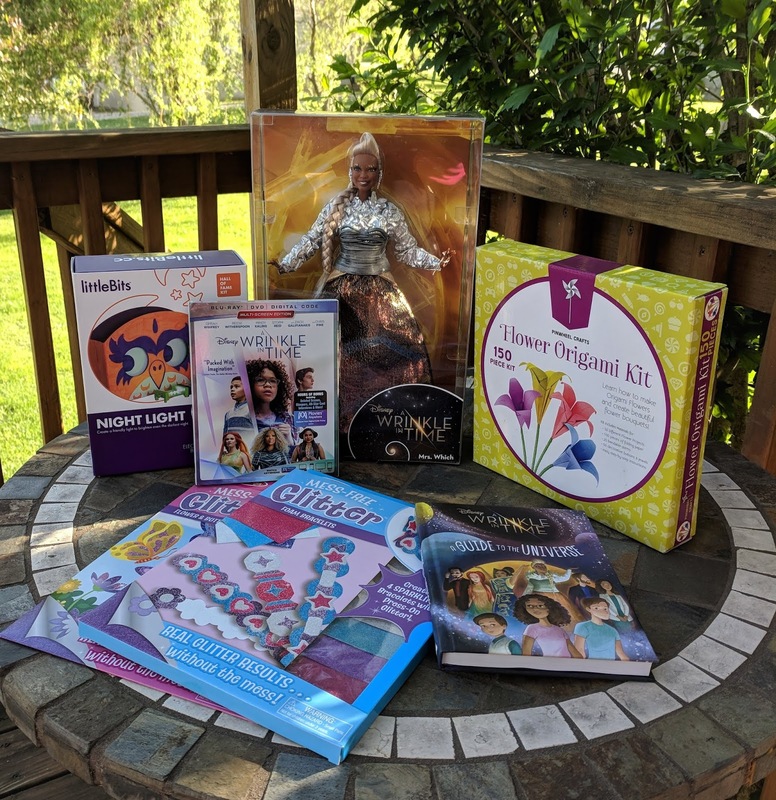 Another fun idea for movie night is to get some STEM kits and get creative. Maybe you can create your own wrinkle in time. LittleBits STEM kits are perfect to get kids involved in STEM activities. My daughter actually had a STEM class this year and she loved it. So when we got the Owl Night Light, the kids couldn't wait to create a friendly light to brighten even the darkest night. I am truly impressed with this kit and all the kits they have to offer! Flowers are prevalent in this movie, so a fun origami flower making kit adds to the the night of fun! 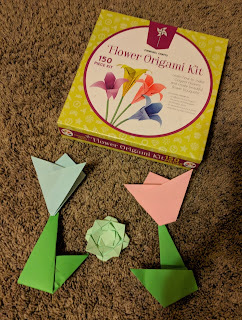 Head on over to Amazon and pick up a Kids Origami Flower Paper Folding Kit for $19.95 & FREE Shipping on orders over $25 shipped by Amazon. 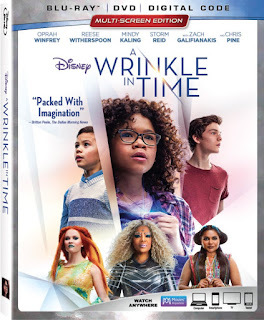 Make sure to enter my Disney's A WRINKLE IN TIME Blu-ray #Giveaway! Check out some of the Wrinkle in Time inspired Barbies! These are a must for any collector! Barbie A Wrinkle in Time Mrs. Which Doll - $50.00 & FREE Shipping. 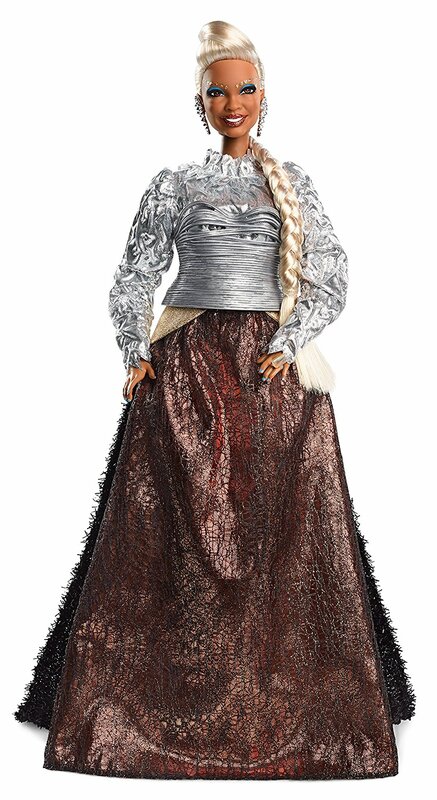 Barbie A Wrinkle in Time Mrs. Who Doll - $50.00 & FREE Shipping. 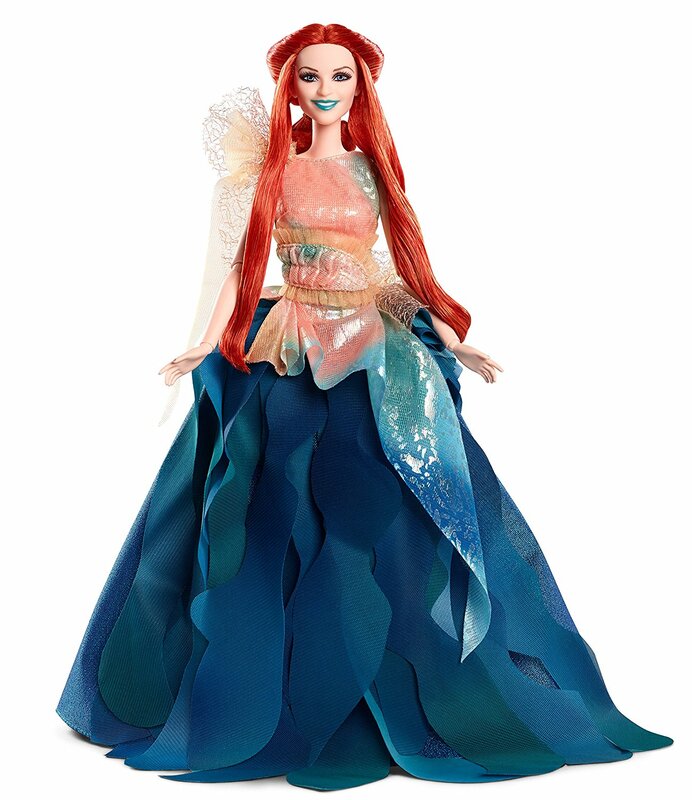 Barbie A Wrinkle in Time Mrs. Whatsit Doll - $50.00 & FREE Shipping. 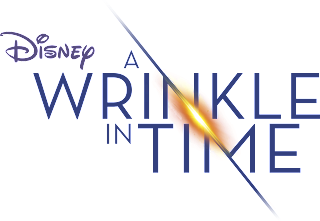 “A Wrinkle in Time” is directed by Emmy® winner and Oscar® and Golden Globe® nominee Ava DuVernay from a screenplay by Oscar winner Jennifer Lee and Jeff Stockwell based upon the beloved novel by Madeleine L’Engle. The film is produced by Jim Whitaker and Catherine Hand with Doug Merrifield and Adam Borba serving as executive producers, and stars two-time Academy Award® nominee Oprah Winfrey as Mrs. Which; Oscar, Golden Globe and Emmy winner Reese Witherspoon as Mrs. Whatsit; Emmy nominee Mindy Kaling as Mrs. Who; Storm Reid as Meg Murry; Levi Miller as Calvin; Deric McCabe as Charles Wallace; Gugu Mbatha-Raw as Mrs. Murry; Michael Peña as Red; with two-time Emmy winner Zach Galifianakis as the Happy Medium and Emmy nominee Chris Pine as Mr. Murry. Disclosure of Material Connection: I received the about in exchange for mentioning it on my blog. Regardless, I only recommend products or services I use personally and believe will be good for my readers. I am disclosing this in accordance with the Federal Trade Commission’s 16 CFR, Part 255: “Guides Concerning the Use of Endorsements and Testimonials in Advertising.